Dr Holfter is a Senior Lecturer in German & Course Director for the MA in Irish-German Studies. She is joint founder and director of the Centre for Irish-German Studies at the University of Limerick. Her research interests include Irish-German cultural and historical relations, German literature (19th century to contemporary writing), graduate education, language for specific purposes (especially Business German), exile studies and intercultural studies & preparation for ERASMUS. Ireland has become a dream destination for German tourists since the 1950s, something for which Nobel Prize winning author Heinrich Böll’s Irish Journal, which was read by millions, is partly to blame. While Ireland was not a preferred destination for refugees from Hitler’s Germany, it was certainly not particularly welcoming towards refugees. Having only gained independence in the early 1920s and battling with considerable economic problems – and indeed, emigration – Irish policy was mainly to keep anyone out who could become a burden. This only changed, at least to a small extent, in 1938, when the Irish Co-Ordinating Committee of Refugees was founded. Still, the number of refugees to be admitted initially was very small – ninety, to be precise. This was later increased with different monthly quotas and did not include refugees who came with the permission of the Department of Industry and Commerce or indeed illegally. Nevertheless, the overall number remained extremely small, about 400, which explains to some extent why the common narrative, that no Jewish refugee was let in, persisted for so long. But some remarkable people came to Ireland. Best known was Erwin Schrödinger, winner of the 1933 Nobel Prize in Physics, who was effectively headhunted by Irish Taoiseach (prime minister) Éamon de Valera and became the first director of the School of Theoretical Physics at the newly founded Dublin Institute of Advanced Studies. Käte Lisowski was one of the few academic exiles who had previous personal and academic links with Ireland – she was a scholar of Celtic literature and had translated and published Irish folk songs and fairy tales collected and edited by, among others, Douglas Hyde who later became the Irish president. Ernst Scheyer, a Jewish lawyer from Liegnitz who came with his family, later became a greatly beloved and influential lecturer of German at Trinity College Dublin. He also contributed with other Jewish refugees from Hitler’s Germany to the founding of an Irish Progressive Jewish Community that is still going strong today. 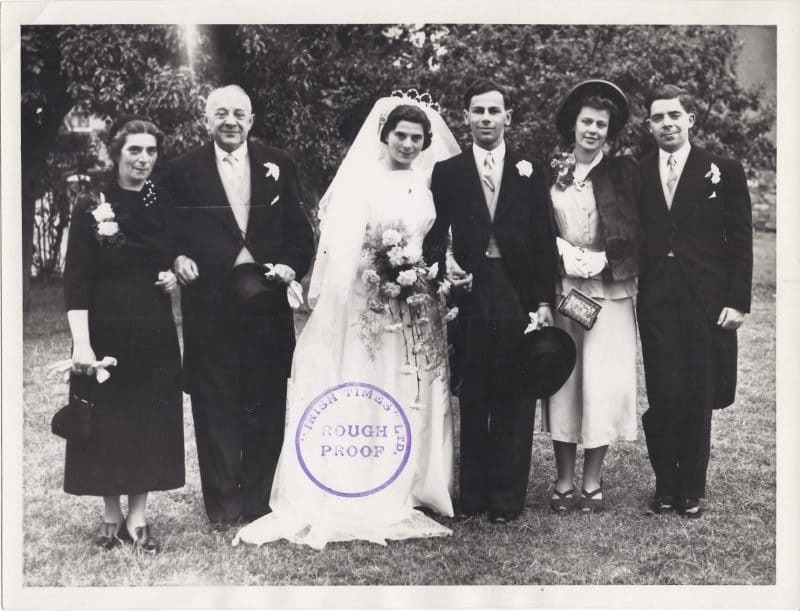 The wedding of Scheyer’s daughter Renate to Robert Weil from Berlin – who was taken in as an unaccompanied teenage refugee at the Quaker boarding school in Waterford – was the first wedding of the Progressive Jewish Community in Dublin. The story of entrepreneurs is also instructive. They established or ran factories and provided employment in places on the periphery such as Castlebar, Galway, Longford and Carrick-on-Suir. Altogether, some 400 people of varying religion, social status and political outlook came for shorter or longer periods, as visitors – or for good. Many of the refugees, especially the younger generation, integrated extremely well into Irish society, marrying here and living in Ireland for the rest of their lives.